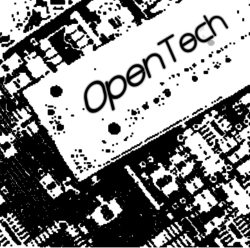 OpenTech will be 10 years old in 2015. Back on June 13th 2015, for the usual mix of technology, experience and everything else. Book your place now, while we firm up the schedule. You don’t have to pay upfront, just provide a valid email address, and fill in the form. You’ll then be guaranteed a ticket if you arrive at the venue before 10:20am, when tickets will be sold on a first come, first served basis. The cost is £5 on the door. This event’s predecessors, in 2013, 2011, 2010, 2009, 2008, and 2005 were low cost, one-day conferences about technologies that anyone can have a go at, from “Open Source”-style ways of working to repurposing everyday electronics hardware. Before that was NotCon 2004, an informal, low-cost, one-day conference on things that technologies were perhaps not intended to do.